At some point, all of us swallow the Kool-Aid and buy a kitchen appliance that we absolutely can’t live without. I was cleaning out my kitchen cabinets today and do you know what I found? 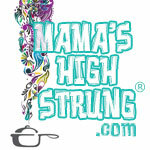 (Don’t say “roaches”… Mama doesn’t have roaches in her kitchen—ever). No, I found an Electric Nut Cracker. I don’t know when, why or how this came into my possession… maybe one of the kids gave it to me as a gift. But it made me realize that chances are, tucked away in the back of one of your cabinets is something you haven’t used in a while… if ever. 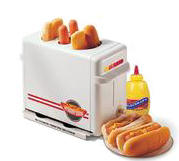 I’m talking about that Salad Shooter… or Mini S’More Maker… or Electric Weenie Roaster (with Automatic Bun Steamer!). So why are these once seemingly indispensible appliances relegated to the deepest darkest recesses of your kitchen? We really don’t need any electric kitchen appliances… but they make our lives easier and, for many, make cooking more bearable. These are my picks for the Top-5 “must-have” electrical kitchen appliances, in order of priority. I’m assuming you have a coffee maker (if you drink coffee) and a toaster. 1. Food Processor: I’ve had the same machine for more than 15 years, and believe me, it’s been a workhorse. The only discs and blades I use are the ones that came with the machine (slicing disc, shredding disc, chopping/mixing blade and dough blade). It’s ideal if you have a lot of cheese to grate, salsa to make, and onions to slice. Sistie prefers this to the stand mixer when she makes dough. Added bonus: I put everything in the dishwasher (even the blades), except, of course, the main machine. 2. Hand Held Immersion Blender (with attachments): In culinary school we called one of these “the wand,” and it really is a magic wand. You can blend soups and sauces on top of the stove, make whipped cream, and create creamy smooth salad dressings. Added bonus: All of the attachments are dishwasher safe, though obviously, not the motorized part (at least mine are… so look for that feature). 3. Stand Mixer or Hand Held Mixer: Even if you don’t do a lot of baking you should have one of these for store-bought cake mixes, whipping potatoes or making simple dough (even if it just around the holidays). This used to be a standard wedding gift 50 years ago. It is amazing how the kitchen and our cooking habits have evolved. 4. Microwave: I don’t cook meals in my microwave, but I do use it for reheating, melting and sometimes steaming vegetables. My kids really love it because they make oatmeal in the morning and nachos at night… and every frozen food you can think of in-between. 5. Slow Cooker: I wrestled with this one—not everyone rides the Slow train. But I’ll tell you, there is nothing like working an exhausting day and walking in that door to the warm smell of a roast or a stew… ready to feed the fam. It is almost like getting a day off from cooking dinner. • Blender: This is not just for bar drinks and smoothies. 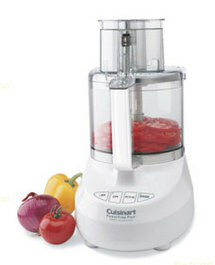 I now own a super-duper powerful large blender that I use for soups, marinades, dips and spreads, sauces and purees. Added Bonus: Doesn’t leak like a food processor can when there is a lot of liquid in it, and I can just add hot water and soap to the jar, give it a quick whirl and it is clean. • iPhone Dock Stereo with AM/FM Radio: This little gadget makes life so pleasant. I can listen to books on my iPhone, hear the news in the morning and slow dance with GP at the end of the evening. Hmmm… maybe this appliance belongs at the top of the previous list! The “Must Have” kitchen appliances are Microwave, KitchenAid Mixer, Slow Cooker, Juicer and Food Processor. I only own two of these but would love to have them all. A KitchenAid Mixer is a big-ticket item, but so worth the investment… Maybe if you win the Giveaway you can buy ALL of the appliances! I can honestly say that I have 9 out of the 10. The only one I don’t have is a stand-mixer…but in its place is my well-used Cuisinart panini press/griddler. I don’t have a panini press, but the kids have always wanted one. I love gadgets but they have to be worth it! Thanks for stopping by! What is the kitchen appliance in English?